It is my goal to smell all the 5-star perfumes reviewed by Luca Turin. I don’t worship him, but there are so many perfumes out there and compared to the small number of 5-star perfumes reviewed by him, I believe the goal is totally attainable and fun. 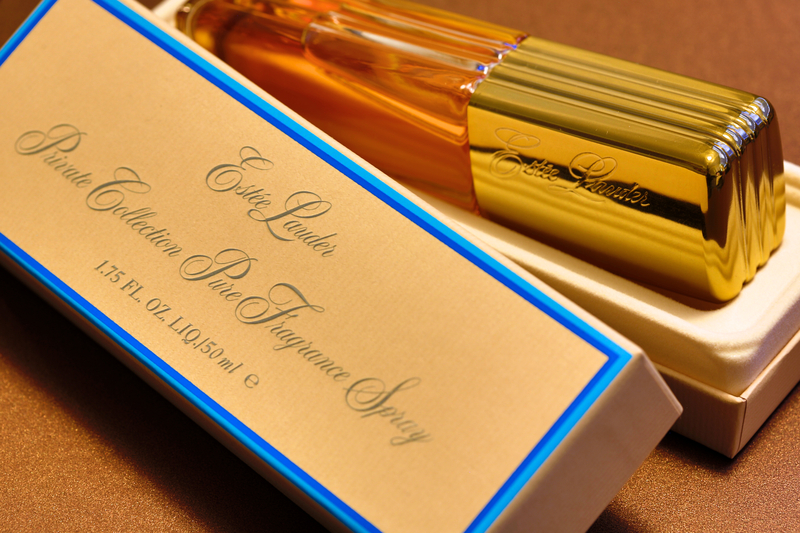 One of the 5-star perfumes that I least paid attention to was Estee Lauder’s “Private Collection”. I didn’t know why, I just never felt like I had to smell it ASAP like Fracas or Mitsouko. May be the review was short and unexciting to read (actually reviewed by his wife Tania Sanchez). Over the year I had casually walked by a few Estee Lauder counters in various department stores, and never saw a bottle of “Private Collection”. I saw, however, some of its flankers like “Private Collection Tuberose Gardenia”. I bought it without really smelling it because she was so kind and nice (and didn’t let me test-spray it). Anyway, I sprayed a few times on my skin when I reached home… it’s Genie Grandma again! She spun around the room a few times and said, “I have been imprisoned in this bottle for 40 years, and whoever released me I shall gift her notes of oak moss, cedar, patchouli, coriander, all the nice scents a modern woman will ever need! Wait, what are you?” I immediately closed the bottle cap. It’s a dangerous perfume. Life with Perfumes Blog at WordPress.com.